Five well established security companies, Cougar Monitoring, Milestone Systems, OPTEX, Raytec and Samsung, which are each leaders in their area of expertise have decided to partner up to deliver an event aimed at providing best practice on how to deter crime, reduce false alarms and comply with the BS8418 standard for remote video monitoring sites. 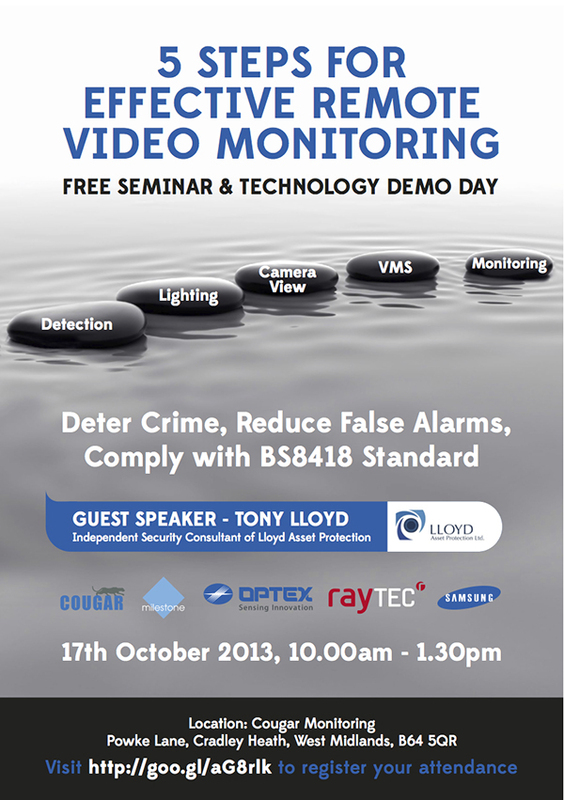 Held at the Headquarters of Cougar Monitoring in Cradley Heath, this half-day event will encompass advice and practical information from independent security consultant, Tony Lloyd, and from the security companies on the five key steps for designing and installing remote monitored CCTV and security systems. 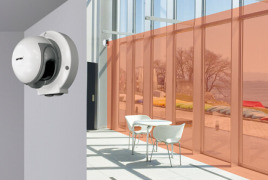 The partnering companies will share their expertise on how to properly specify external intrusion detection, lighting, image quality, alarm and video transmission to enable effective remote monitoring. The seminar is built around short presentations and will include interactive live demonstrations on the challenges presented by open sites like car dealerships against a site with a perimeter fence and wall, Q&A and breakout sessions, and a tour of the monitoring centre. If you are involved in designing, installing, using or assessing remotely monitored CCTV systems, this free seminar on October 17th in the West Midlands will give you valuable information on how to comply with BS8418 standard and a good opportunity to network with your peers. For more information, to see the agenda and register, please visit: http://www.optex-europe.com/5-steps-for-rvr/.